AI: How to check Etisalat Postpaid Prepaid Data Balance ? How to check Etisalat Postpaid Prepaid Data Balance ? 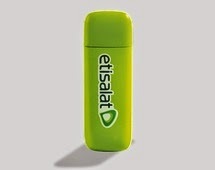 How to check Etisalat data balance ? Very easy,Follow this easy steps. Run USSD code (Unstructured Supplementary Service Data) on your mobile. To check Etisalat data balance,etisalat my page online method is most successful,because this page help to get peak and off peak data usage very easily.